Owning and running a car park can be difficult. Nobody notices if it is running smoothly, but everyone complains if there are problems. The simple solution to this is to install automatic car park barriers as they have a number of benefits to ensure your car park runs smoothly. Not only will they decrease your costs but they will also increase the speed and efficiency of your car park. Customers will be able to find their spaces more quickly, and have less trouble with queuing throughout. A happy customer base in turn means more repeat custom, which after all is what every business wants. What Types of Automatic Car Park Barriers Are Available? Successful car park systems depend on being able to control and regulate the vehicles entering and leaving. The main way of doing this is by choosing automatic barriers both on entry and exit. Entry barriers will need to fit the size of both the width of the lanes in your car park, and the height. In multi-storey car parks for instance, a lower roof may mean that a barrier wide enough to reach over the width of your lane, may be too large to rise vertically. A solution to this would be to have a hinged or folding arm across the lane that can be used if the ceiling height is limited. As an example, our AZN automatic barrier has a variety of arm-lengths to suit most sizes of lane up to 3.5 metres. It also has the added option of an arm that folds out of the way rather than rise vertically upwards, allowing installation in most car parks. 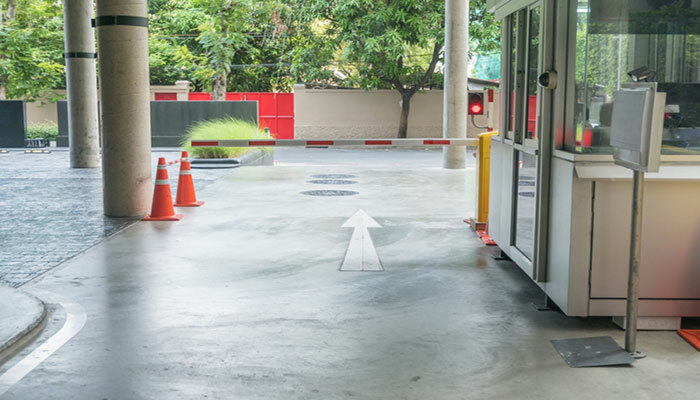 These tend to be of a similar construction to the entry barriers as both are simple to use, extremely reliable, and heavy-duty for high-use areas. With respect to safety, it pays to have LED lights and stripes underneath so that they are visible when in use, and possibly a camera for security and remote control. With the installation of car park barriers, ticketing becomes infinitely easier. There are machines which will carry out all the transactions for you just leaving you with the choice between pay and display, or a customer picking up a ticket on entry and paying on return to the car. There are a wide variety of car parking machines that can make this decision easier for you as they are both reliable and save on staff costs. There are also state-of-the-art parking machines that read any type of barcode or RFID ticket and can be operated by using a touchscreen. When the ticketing aspect is so automated, sturdy, and reliable, why consider anything else? Not only do they benefit you as an owner, but they also benefit the customer as they are simple and quick to use, reducing queues while waiting to pay. By installing barriers, you can lower the cost of employing staff as your car park will need fewer people to run it day to day. There will still be staff required for queries or occasional issues, but in the main, the car park equipment will run by itself, with the added advantage of supplying you with detailed accounting information at the end of business. The main problem for customers using car parks is the delay in entering and exiting, and finding a suitable parking space. All of these can be eliminated by the use of fully automated car park systems. With the additional features of an external board to let potential customers know how many parking spaces are remaining, there is less chance of slow-moving queues building up. It is also possible to install a system of lights fitted with sensors over each parking bay. These can detect the presence of a car in the bay below and show green if it is empty. A driver can immediately see where the spaces are, leading to a much faster flow of traffic. Many car parks have regular visitors, and usually, these are local residents or workers that attend businesses in the area. An automated system allows you to supply them with a pre-paid card that they can use, saving them from queuing at the ticket barriers. More happy customers mean more frequent returns, and once they have paid in advance, you know they will choose to use your car park above any others in the area. All in all, automated car park systems can save you money and improve the flow of customers in and out of your car park. With all the possibilities to reduce your costs and improvements for your customers, it seems an easy decision to make to enhance your business.